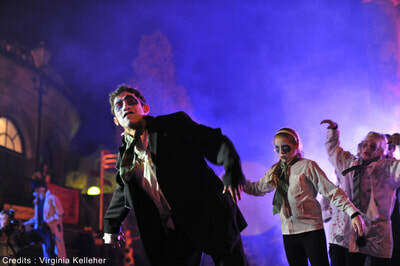 Here you can find a selection of high resloution pictures to download and use as press material. 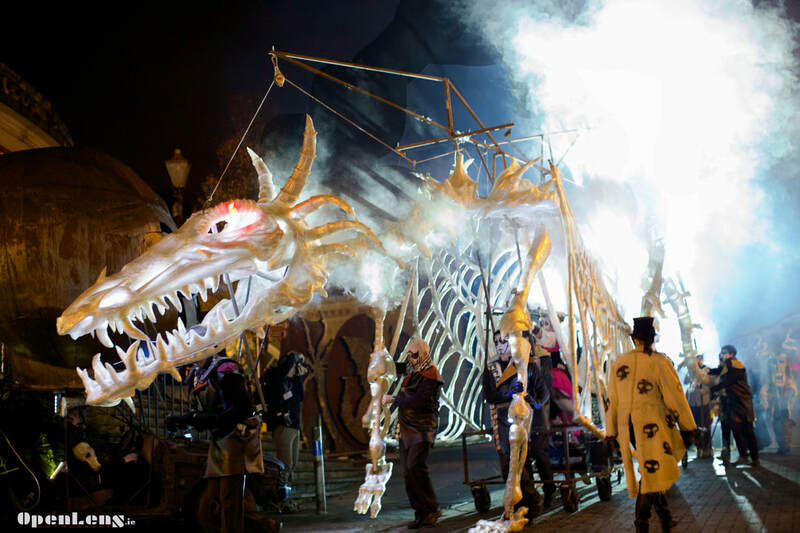 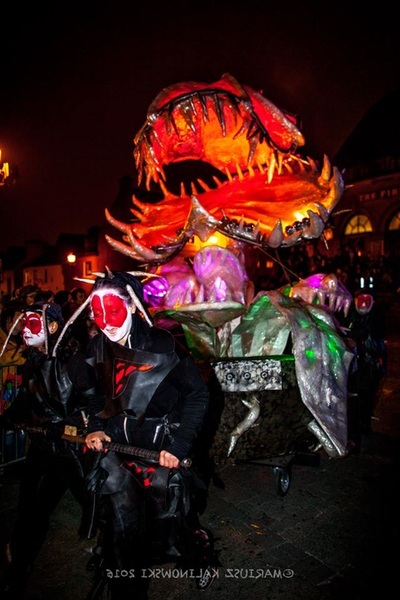 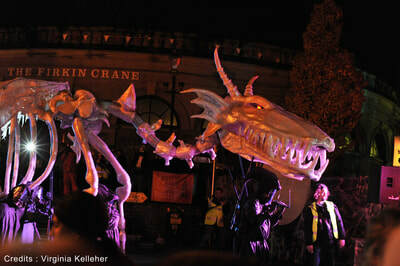 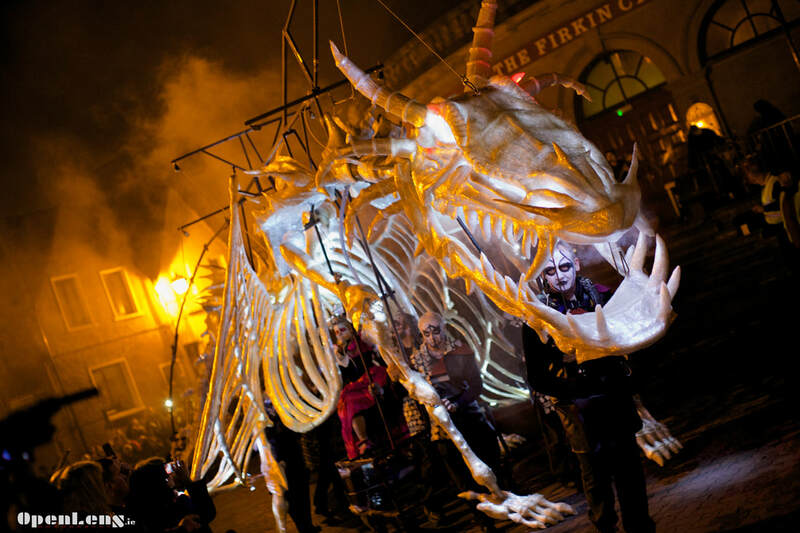 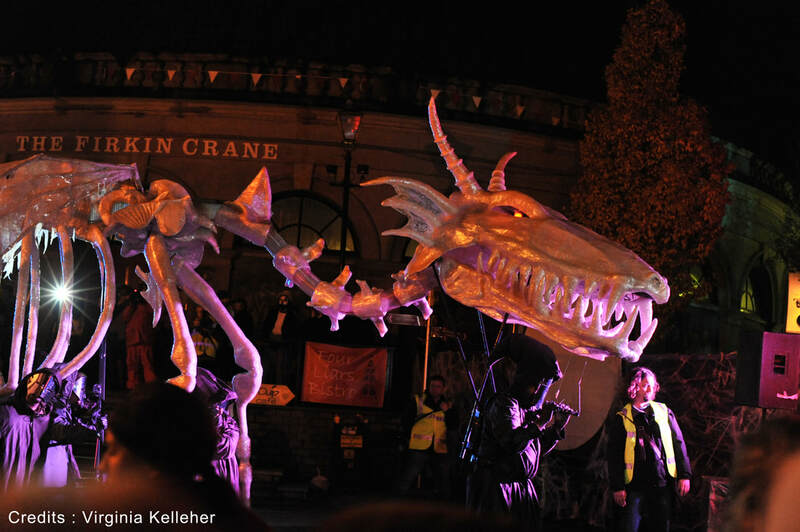 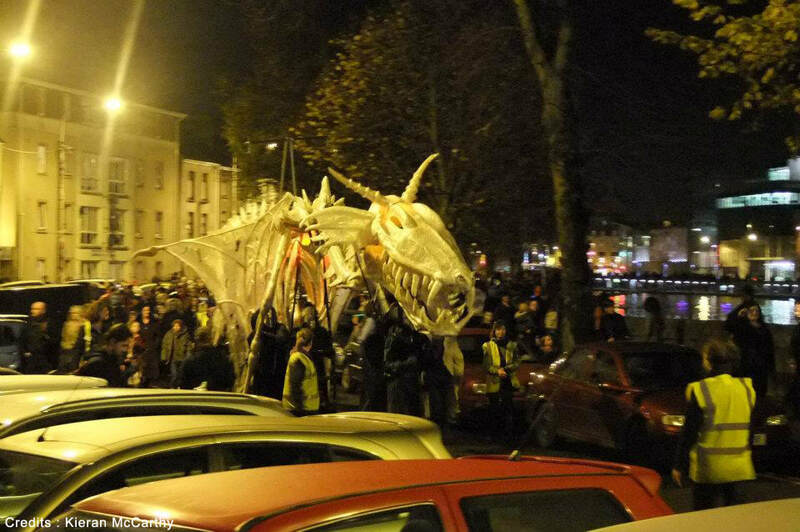 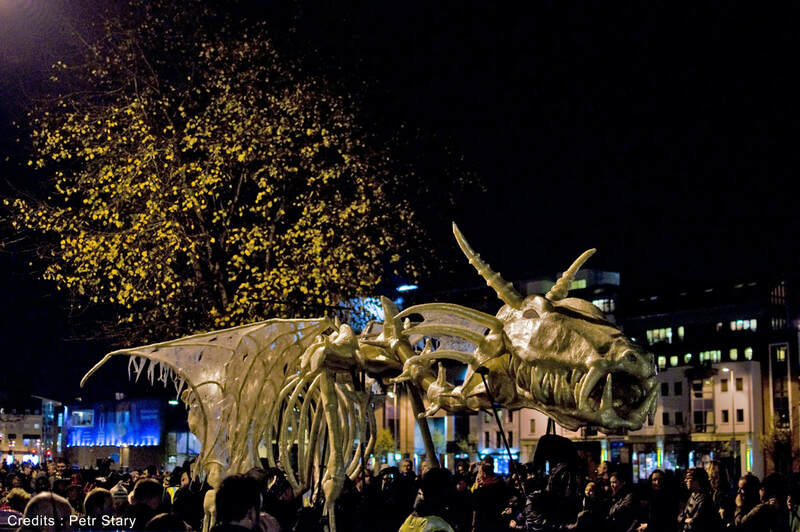 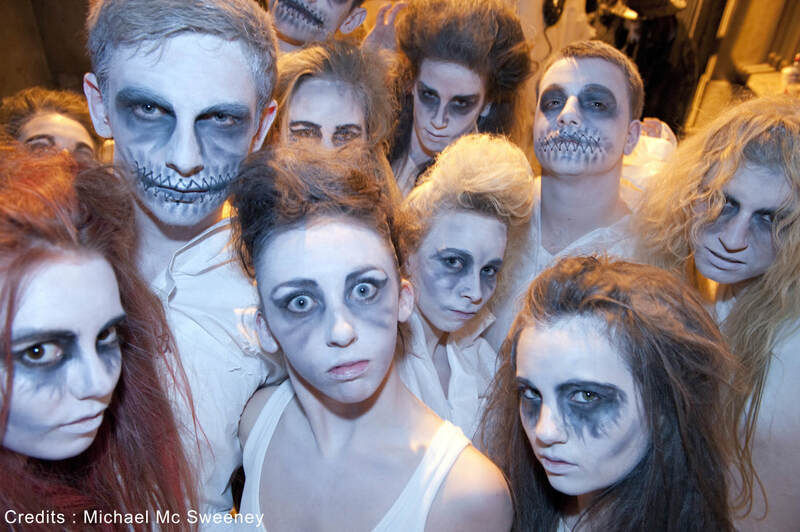 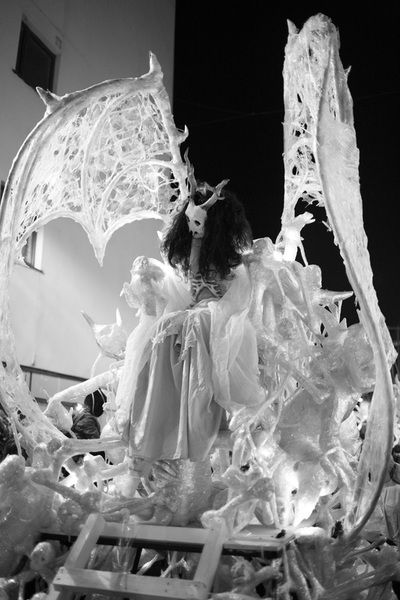 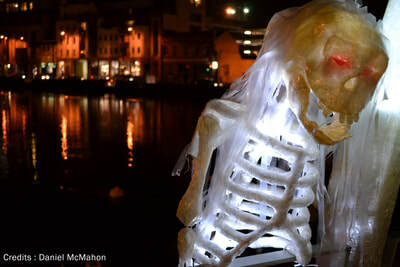 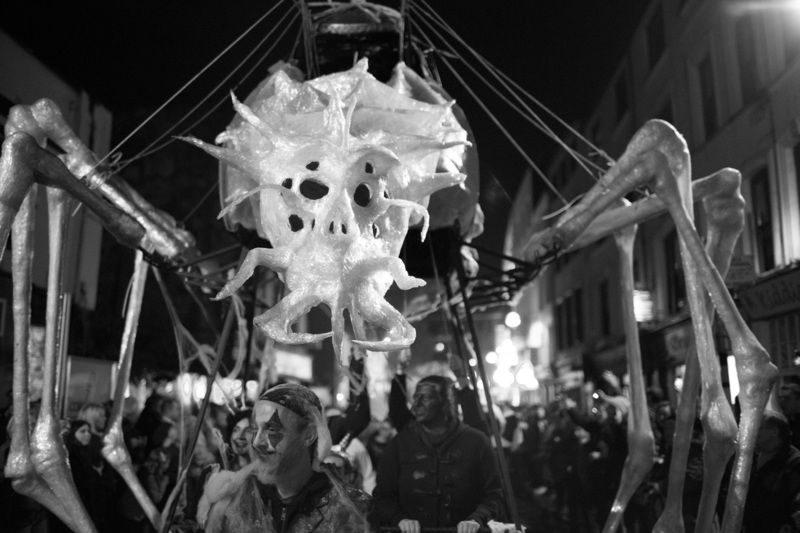 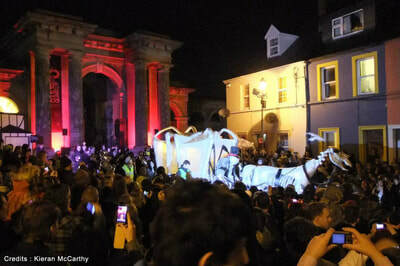 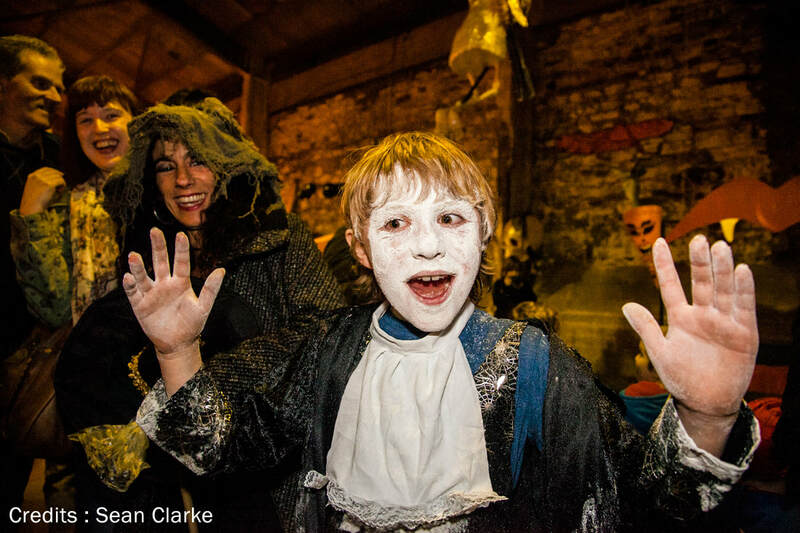 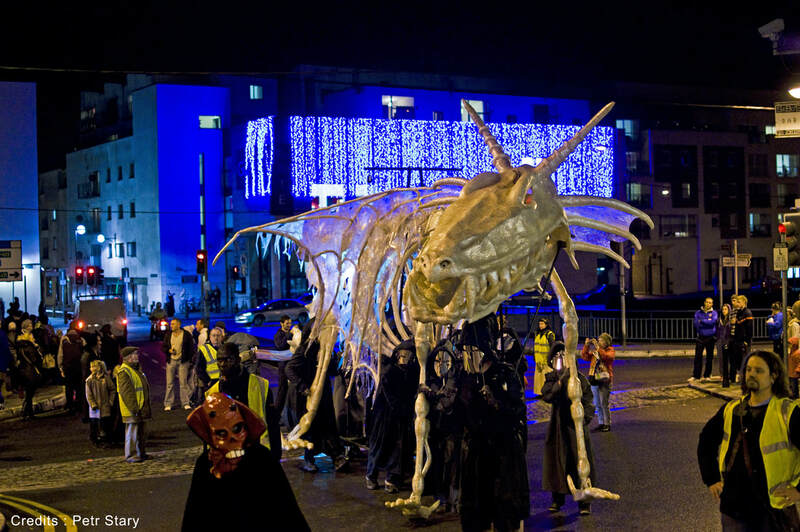 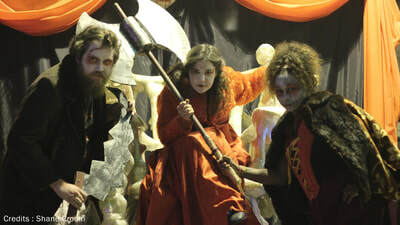 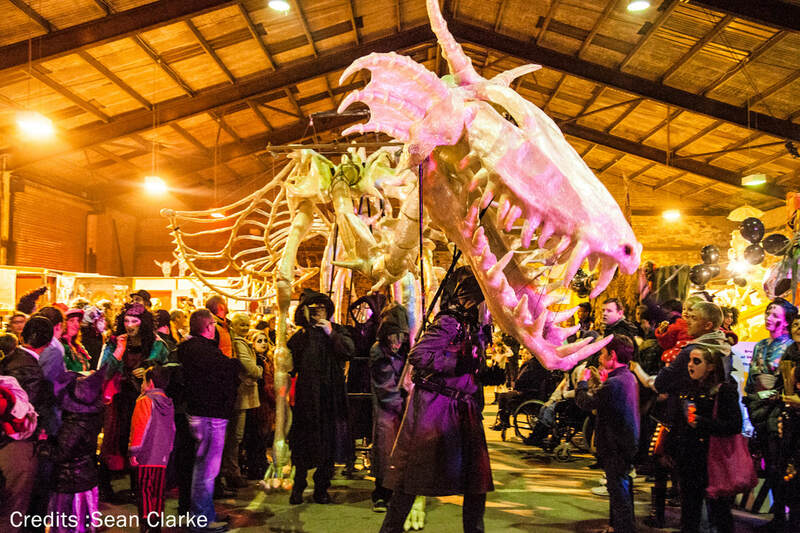 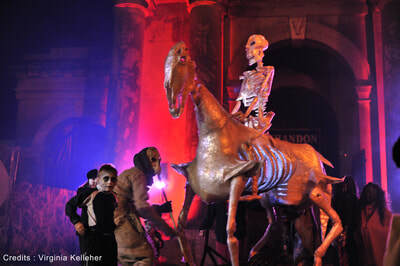 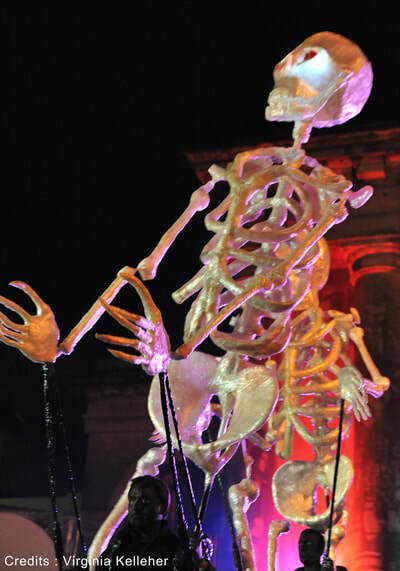 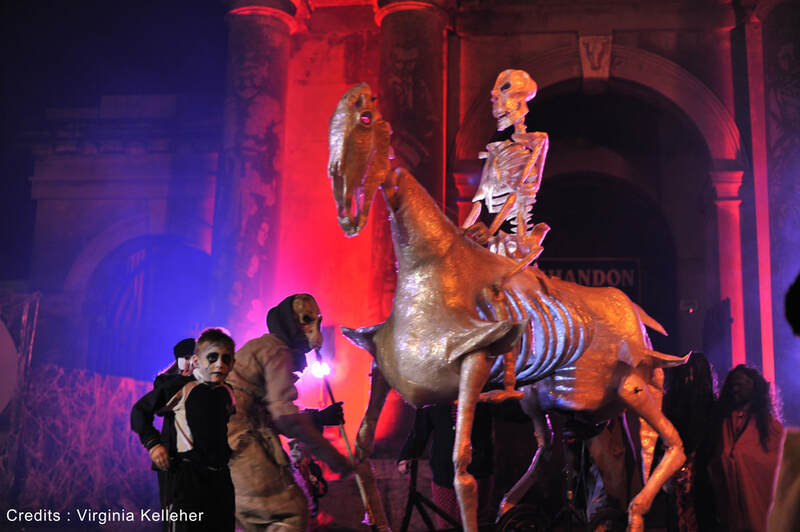 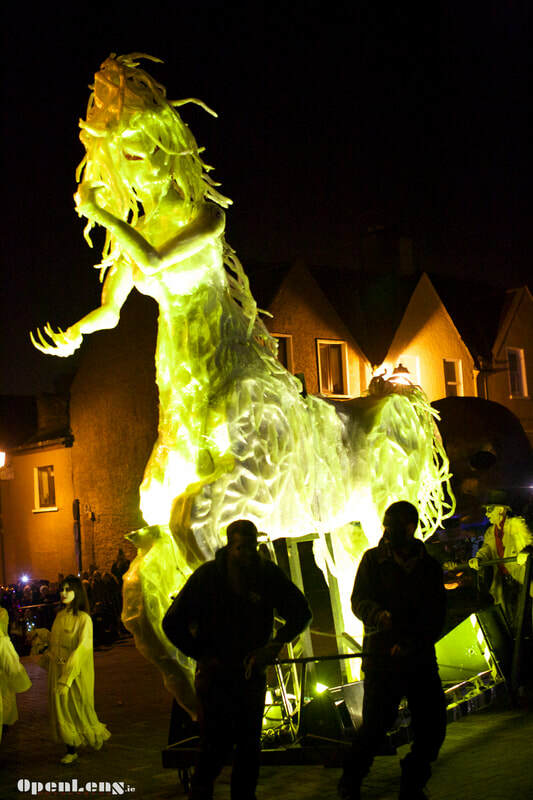 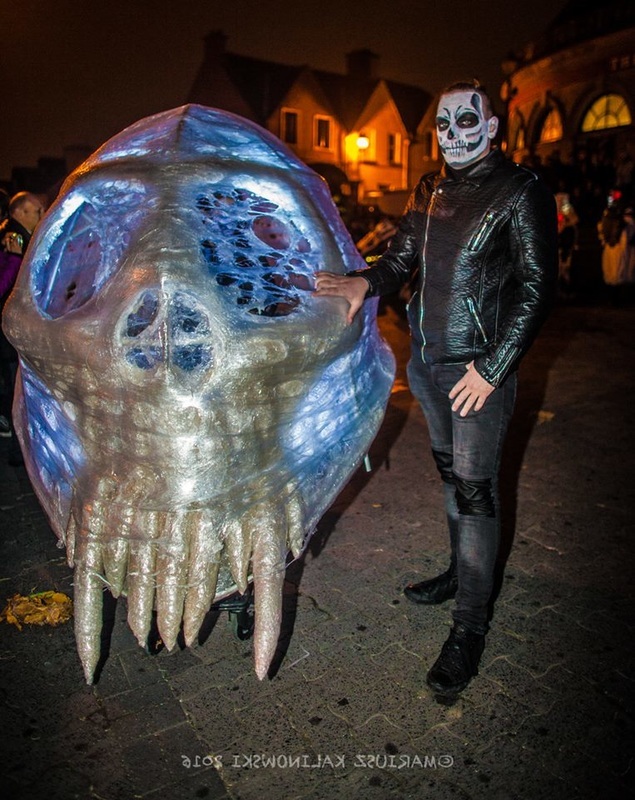 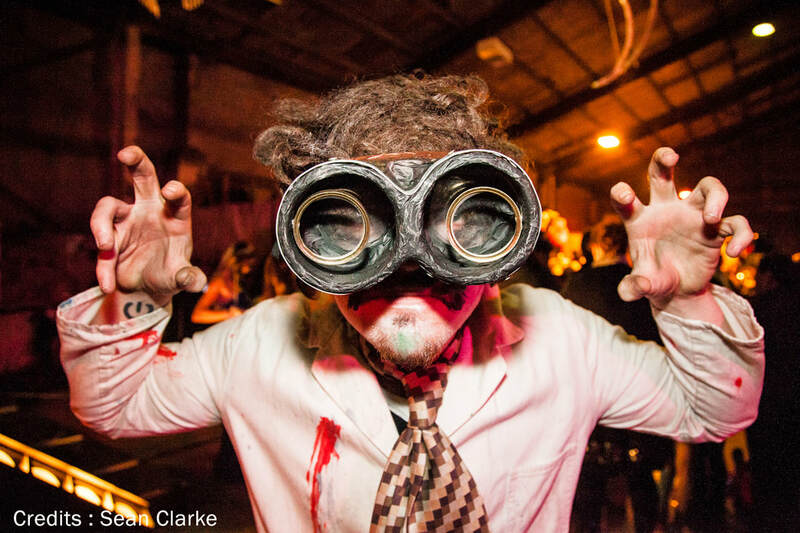 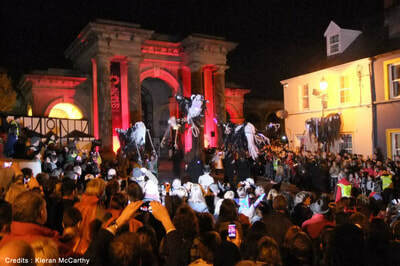 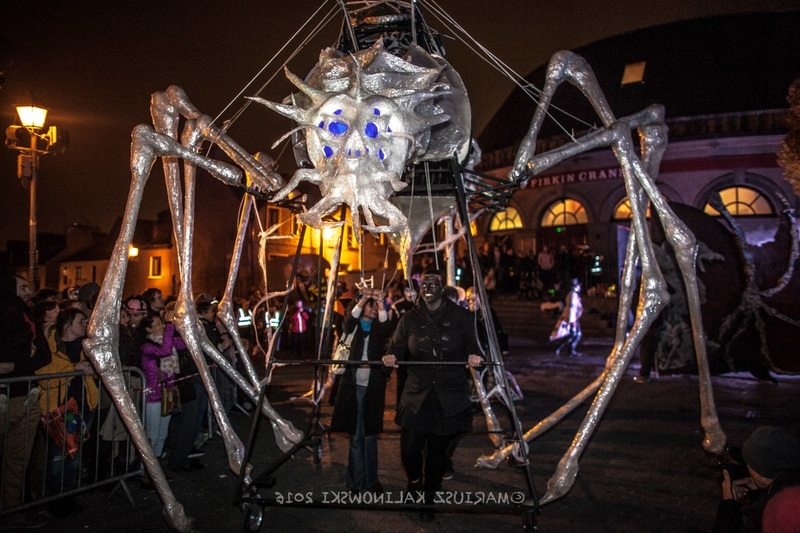 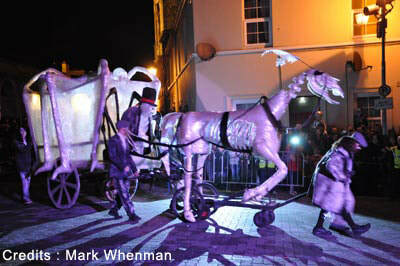 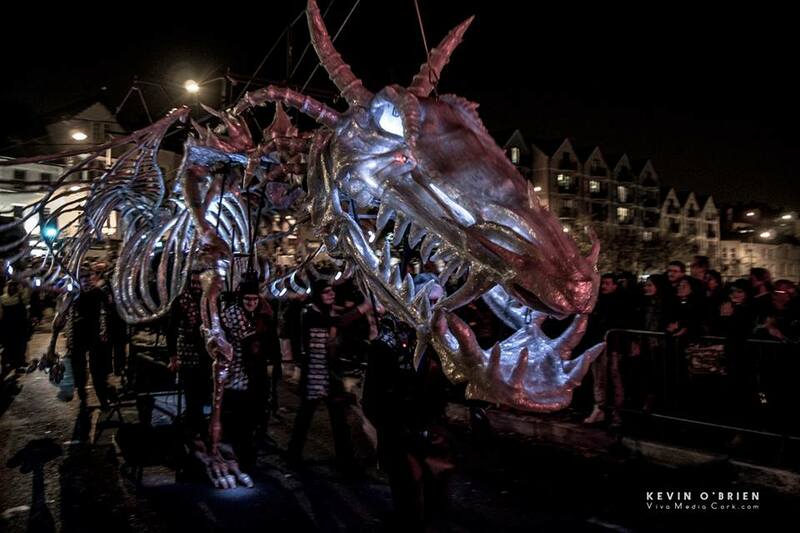 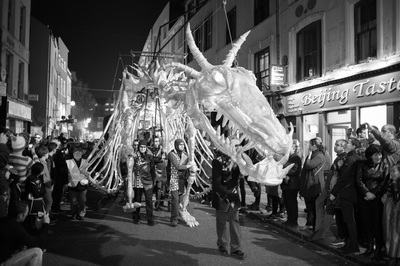 Shandon Dragon to Roam City Centre this Halloween Night. 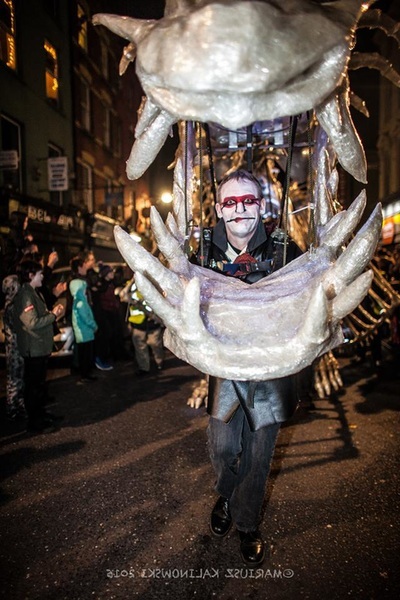 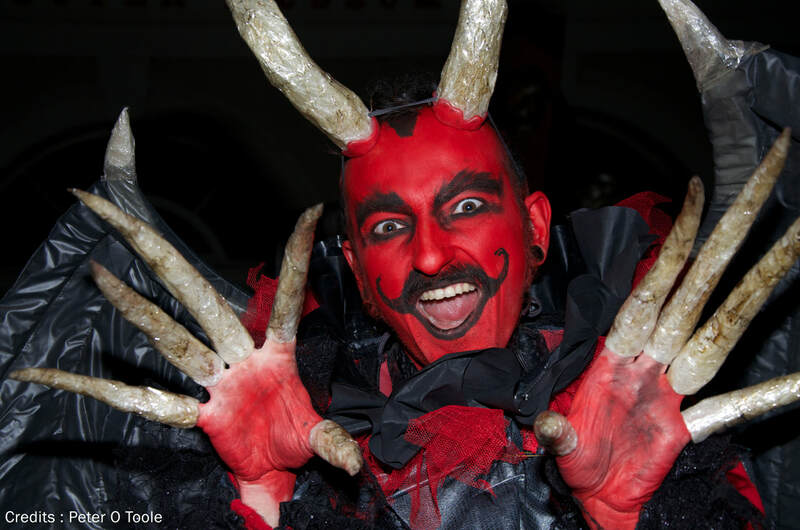 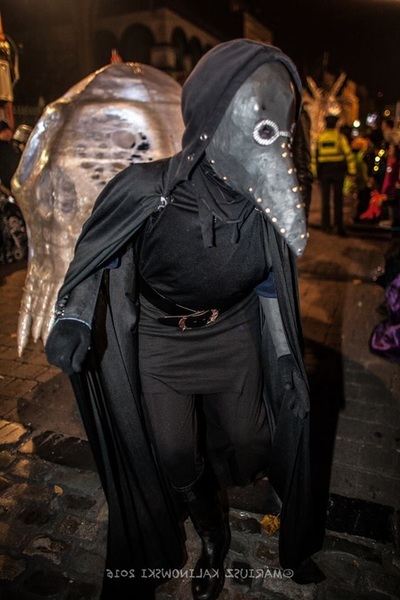 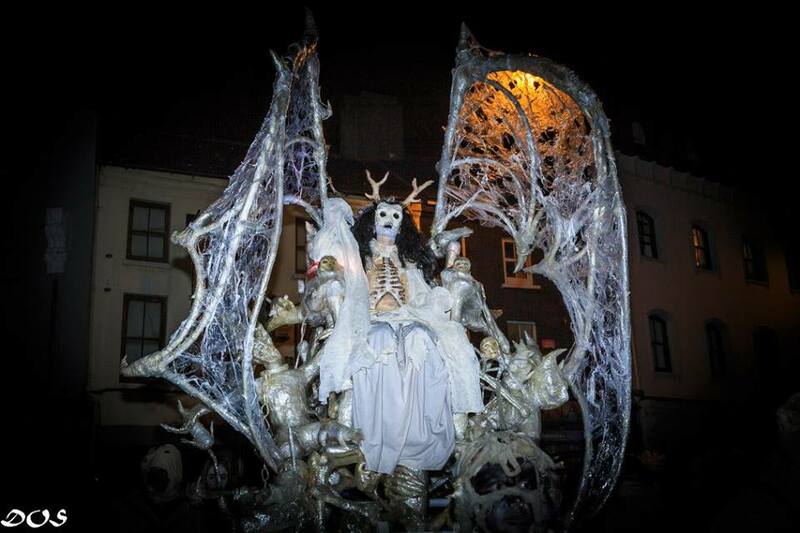 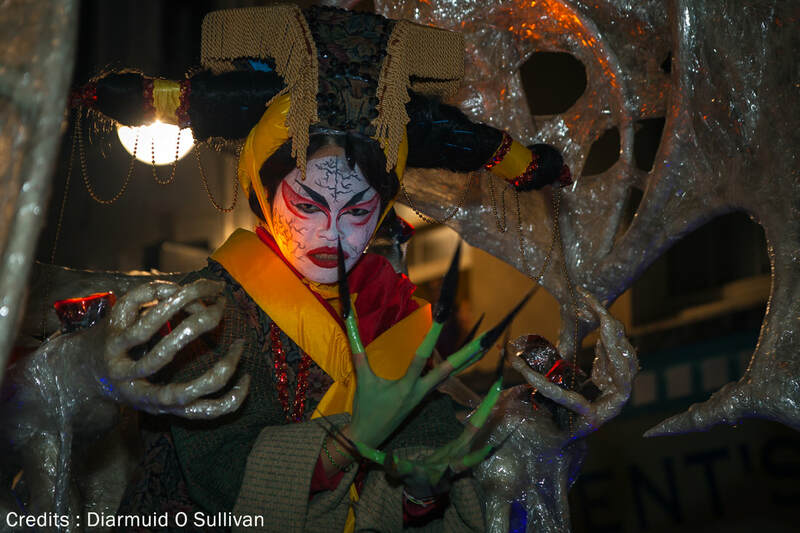 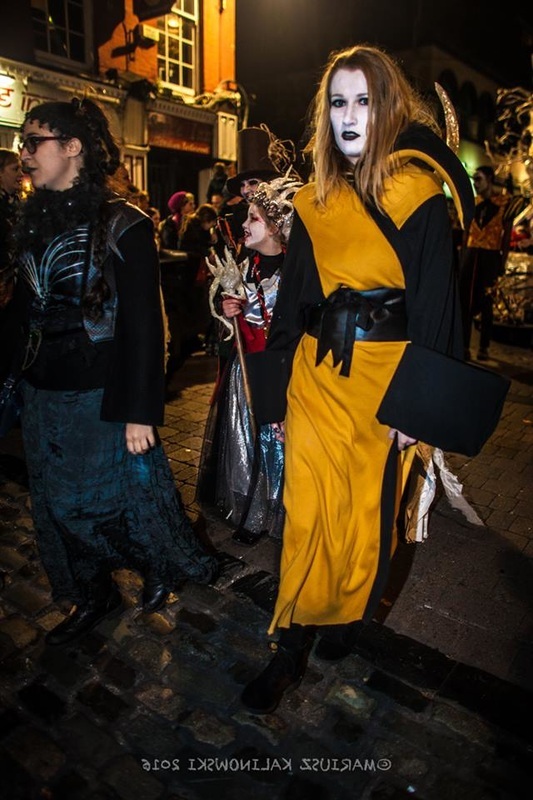 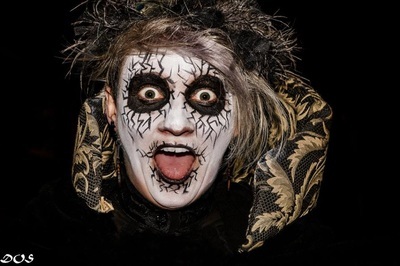 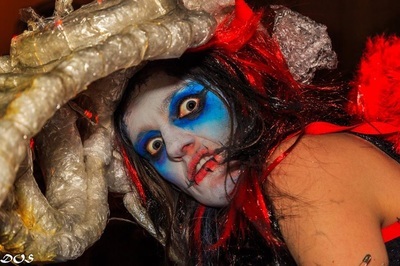 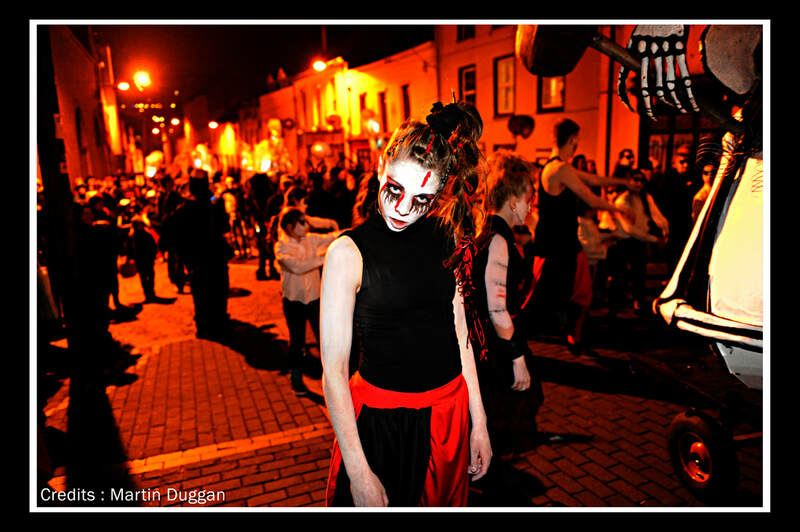 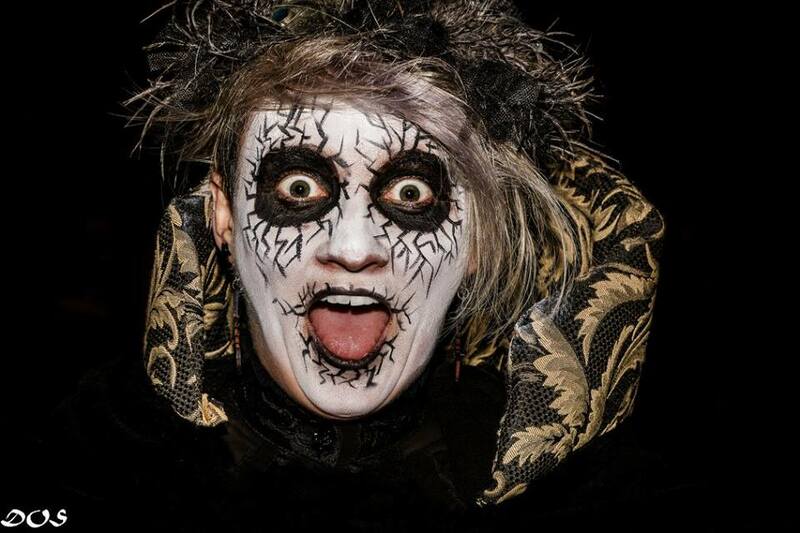 Once again emerging from the underworld this October the Dragon of Shandon will return to walk amongst the people of Cork on Halloween, when she will celebrate her 13th birthday! 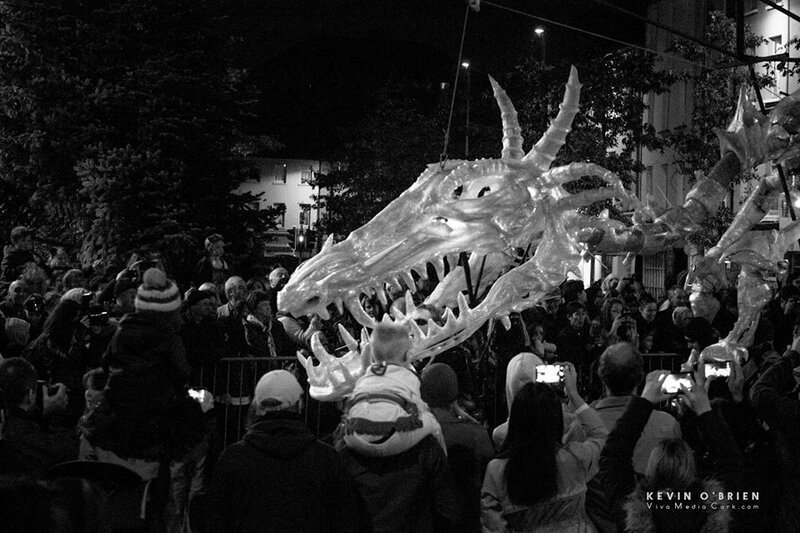 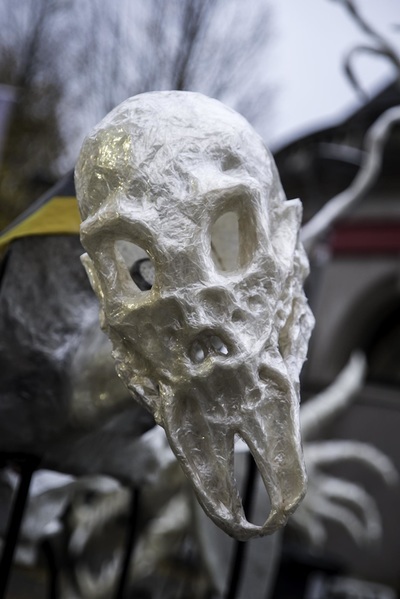 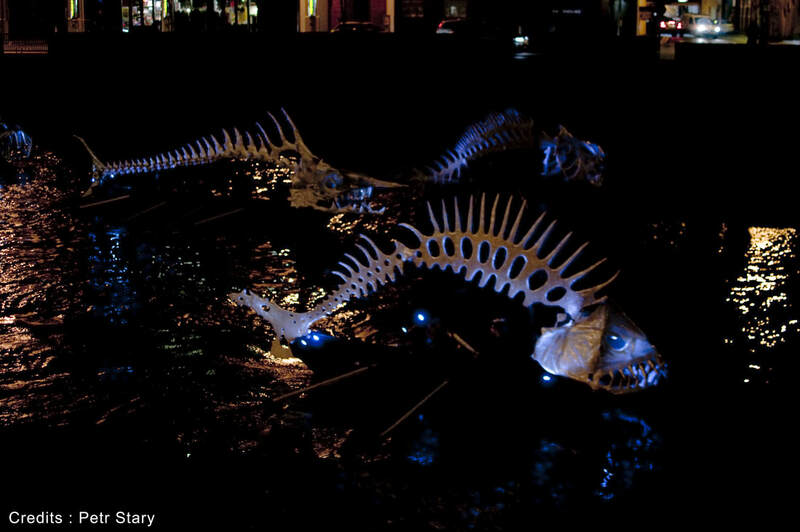 Accompanied by her entourage of over 500 ghosts, ghouls, beasts and misfits, the 36ft Dragon made entirely of tape is truly a sight to behold. 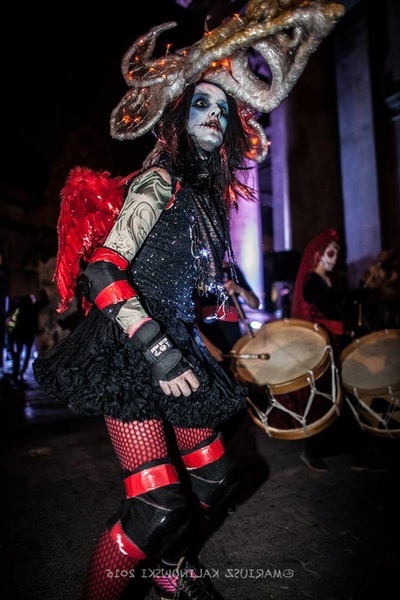 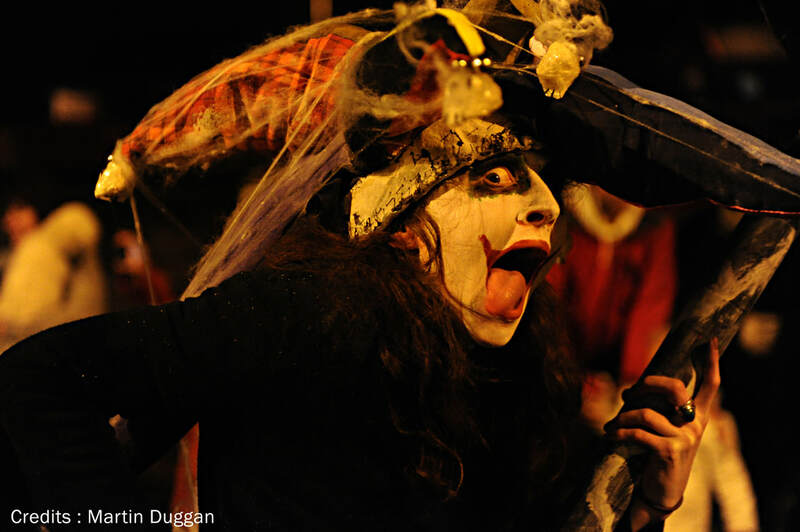 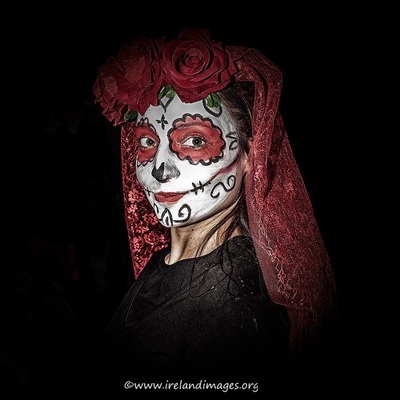 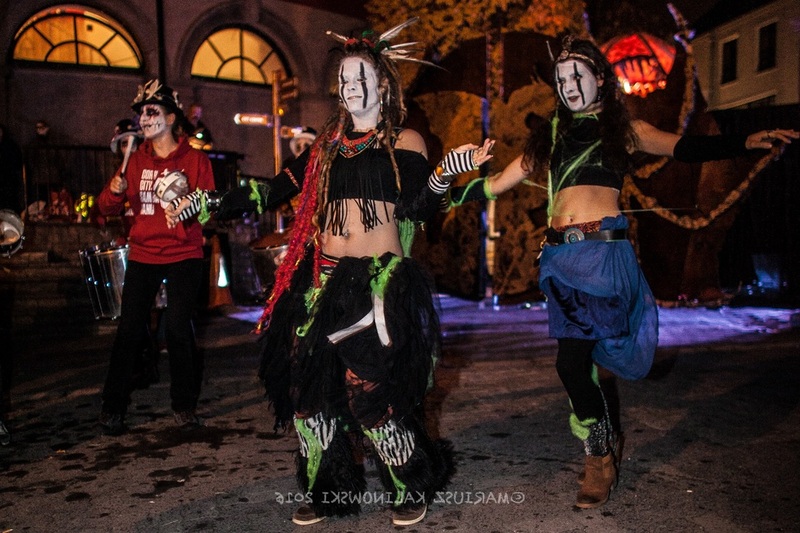 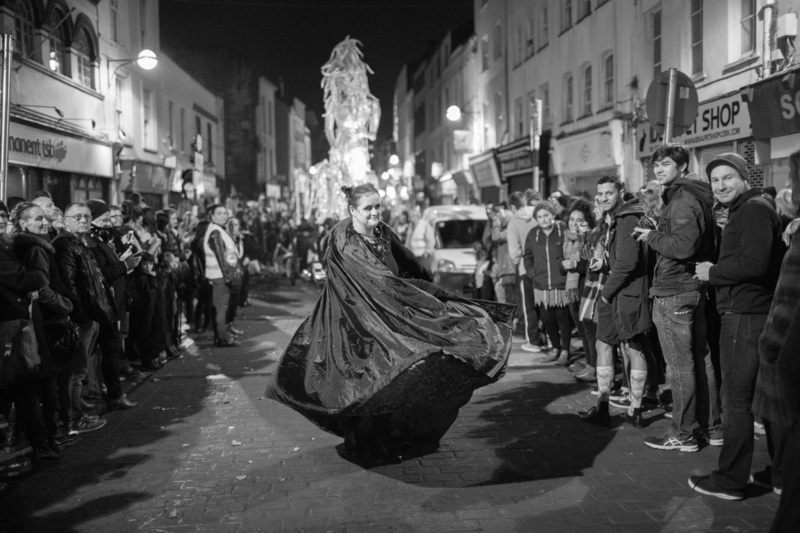 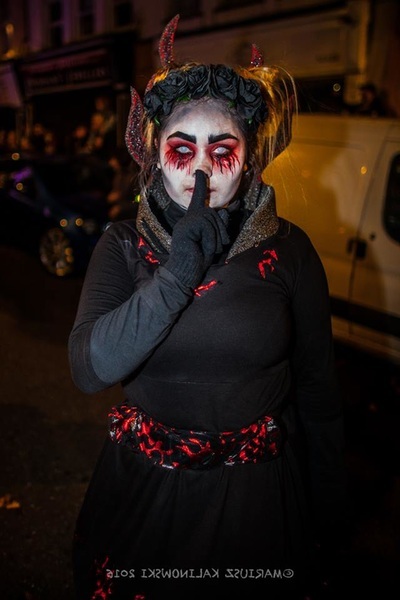 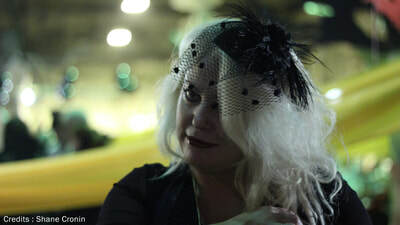 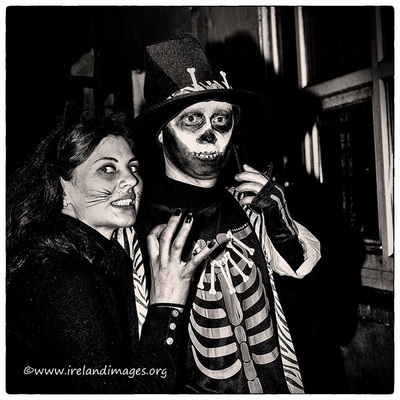 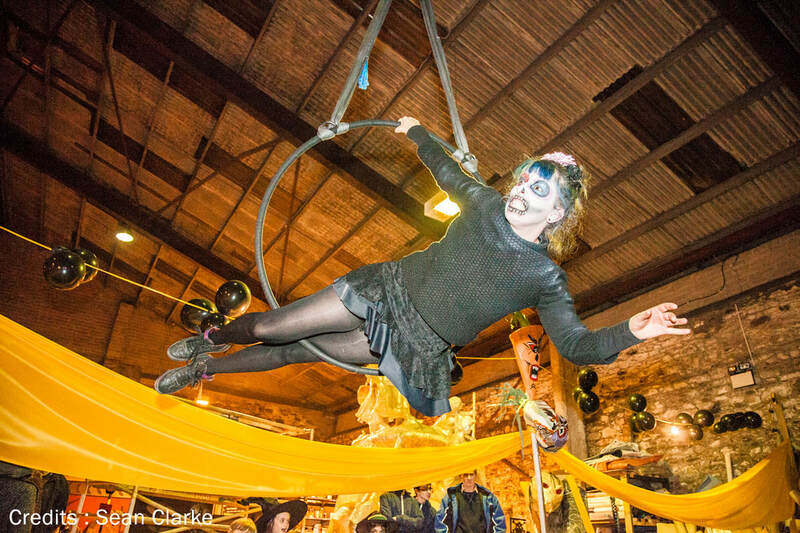 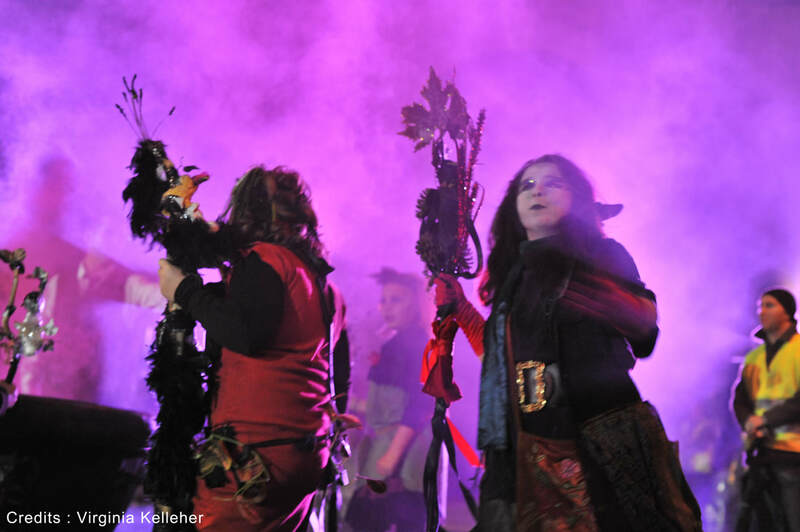 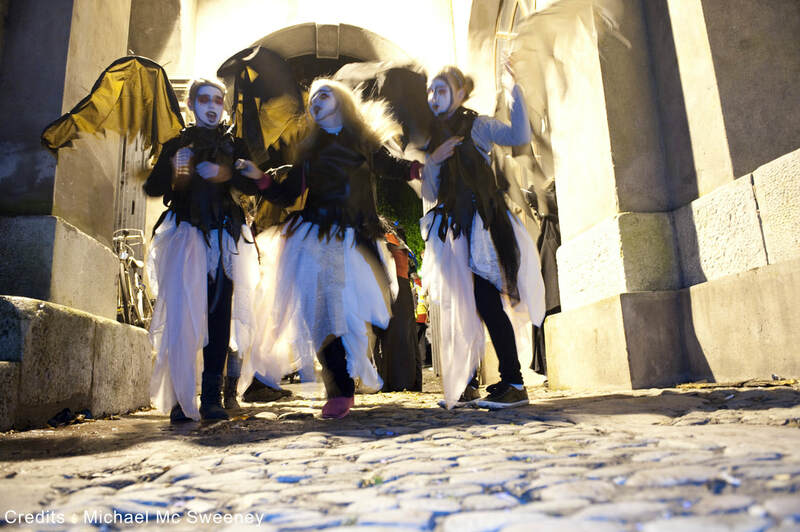 She will be joined by some new fantastical beasts and creatures who will accompany her on her journey through Cork City in a celebration of the ancient Samhain tradition, before she returns again to the underworld for another year. 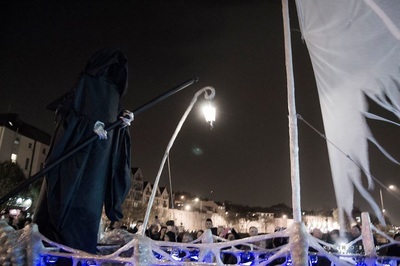 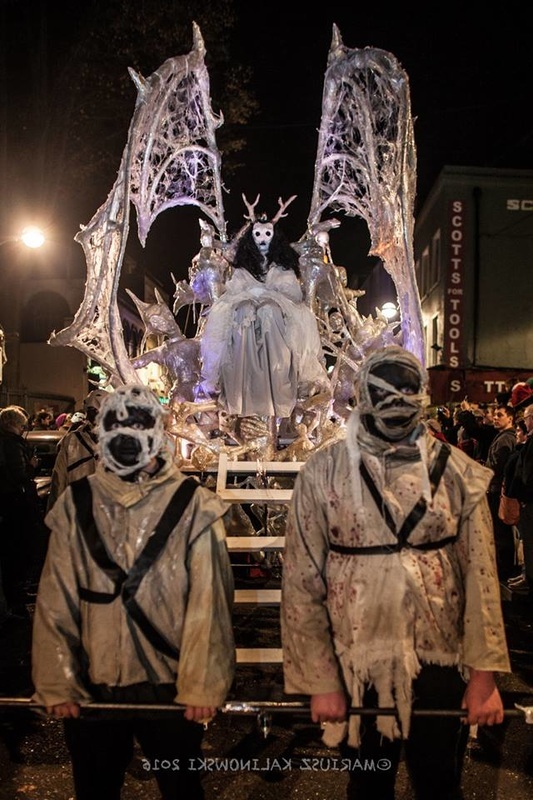 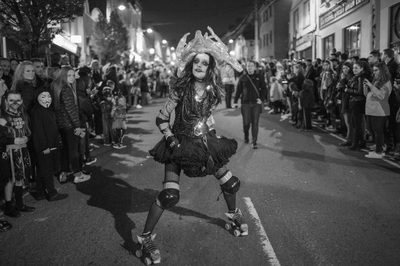 One of Ireland’s biggest night time parades, the Dragon of Shandon Parade is an urban street event which captures the spirit and imagination of people living in Cork and provides the opportunity for people of all backgrounds and abilities to take an active part in a major cultural event in their city. 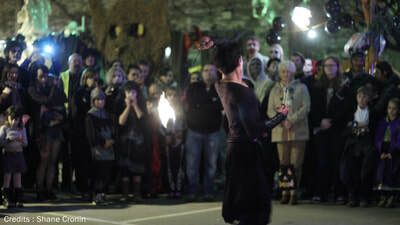 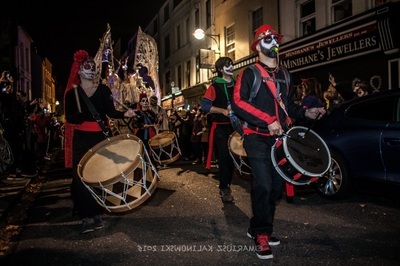 The parade has been a unique event on Cork's Northside since 2006, and the extension of its route into the city centre in the last two years attracted thousands onto the streets of Cork. 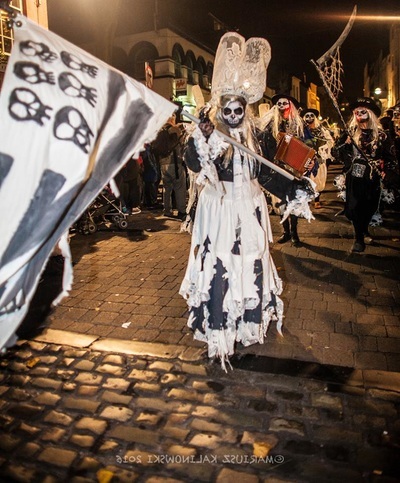 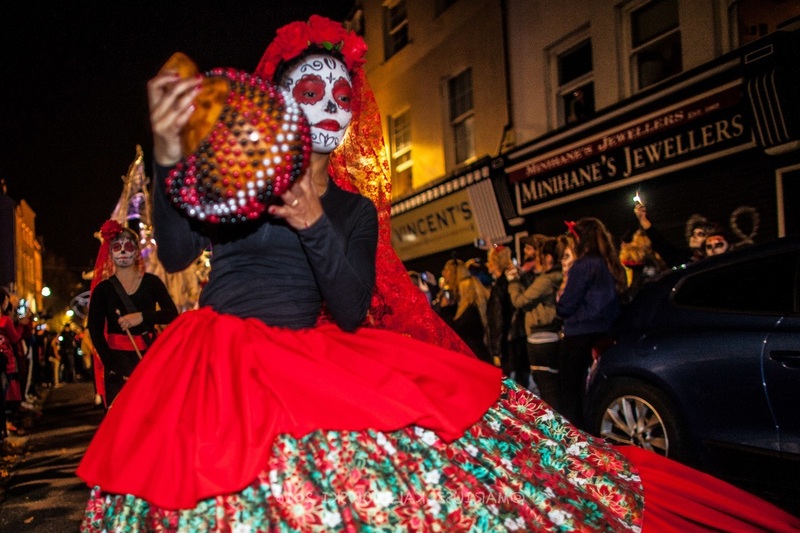 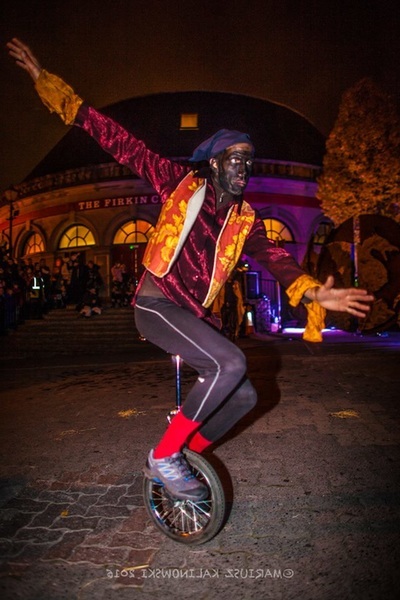 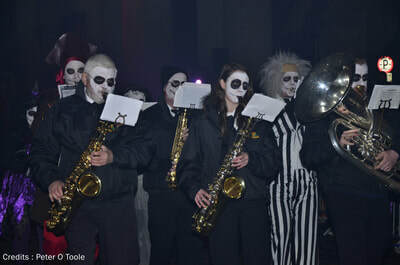 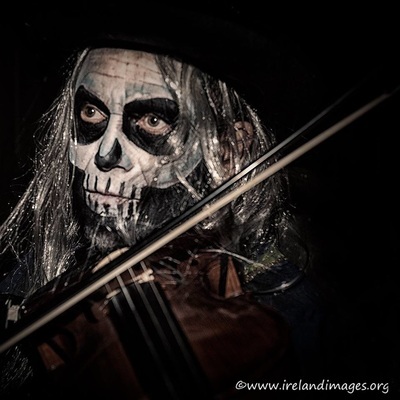 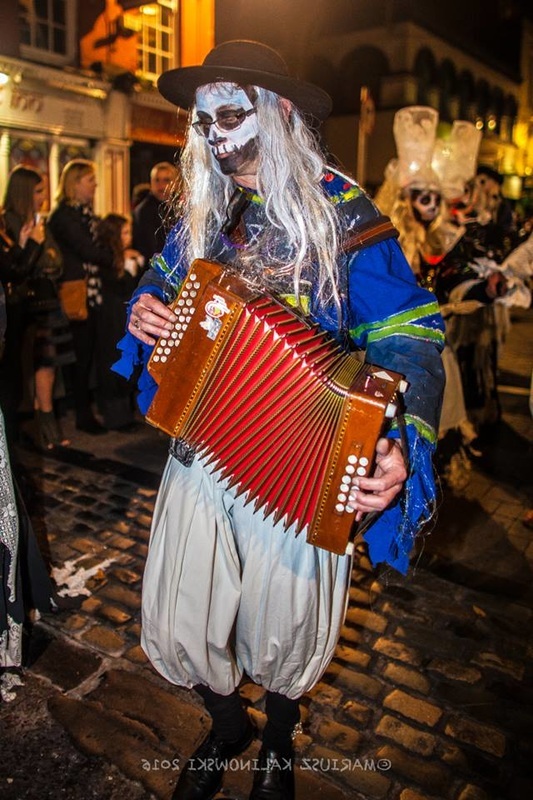 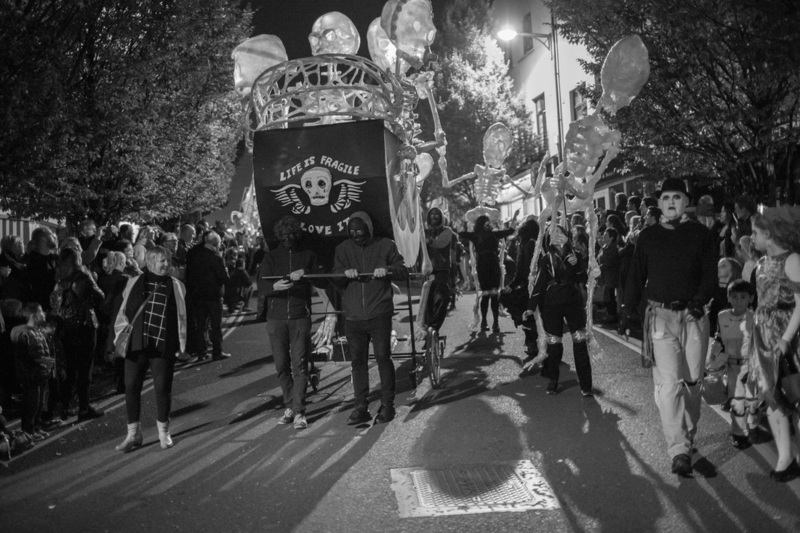 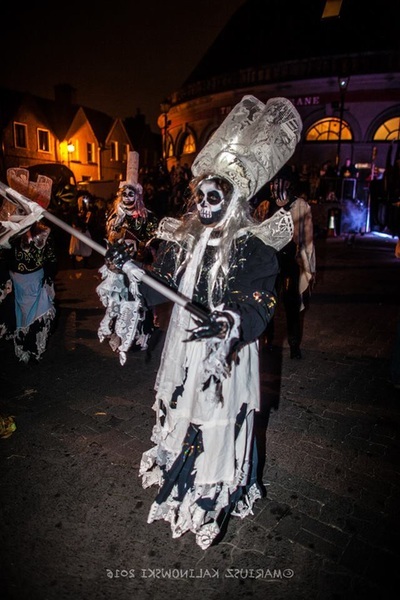 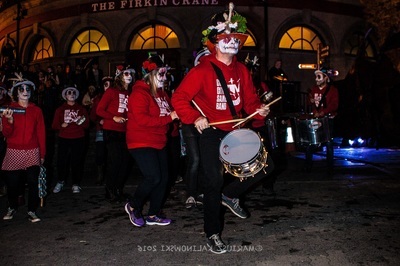 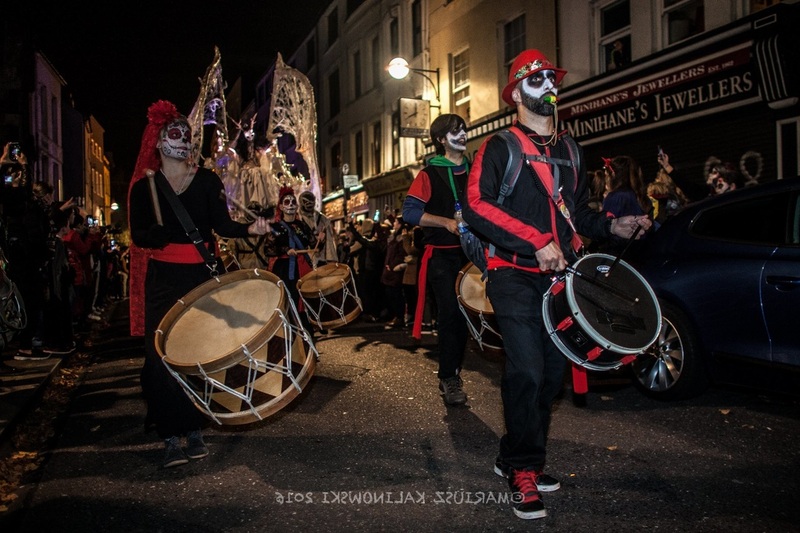 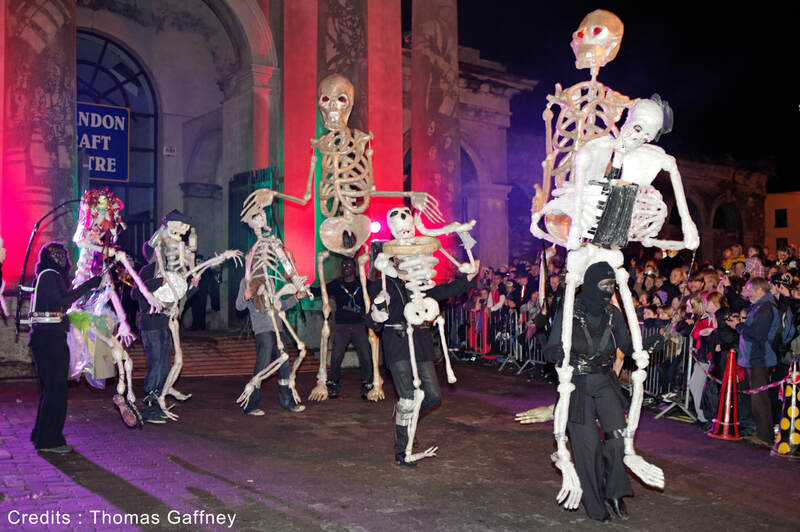 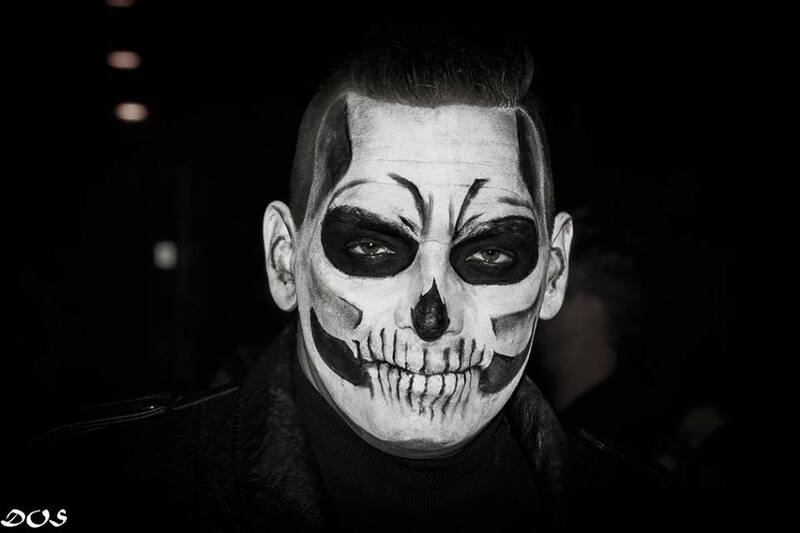 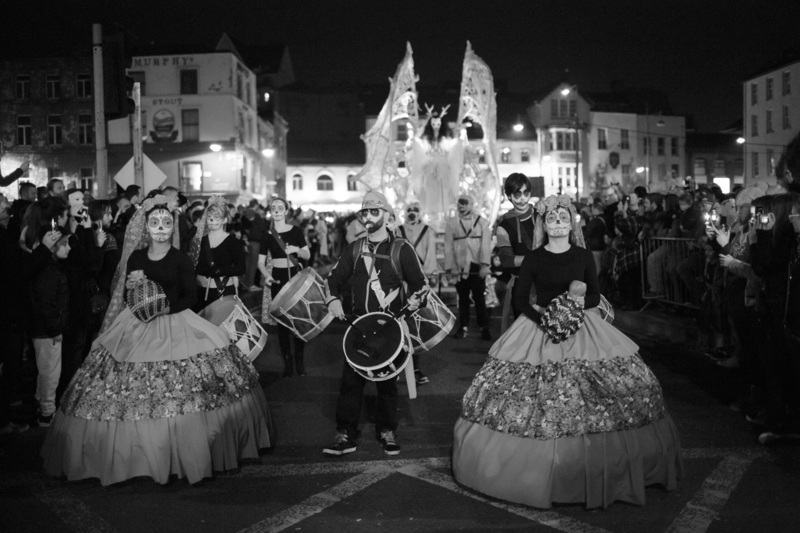 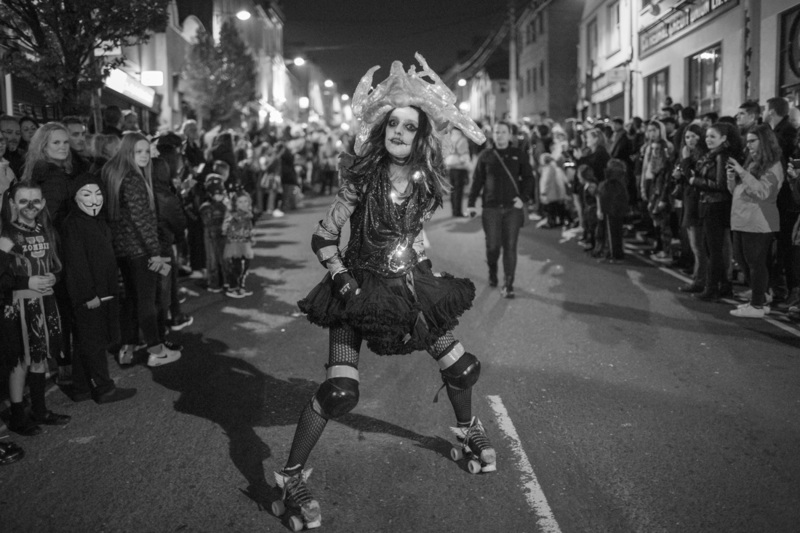 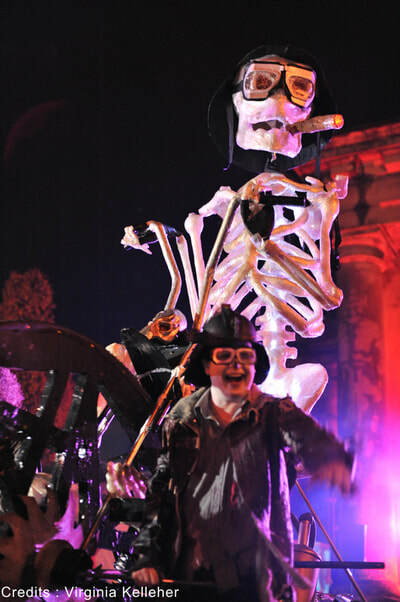 The parade starts in Shandon at 7pm on the the 31st of October and travels down Shandon Street, across the river to North Main Street, then Castle Street and Cornmarket Street for an epic finale. 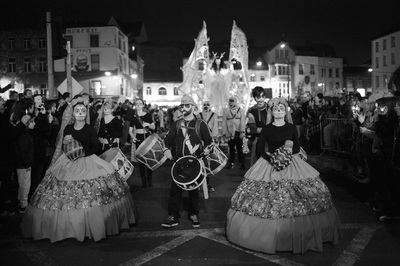 Cork Community Art Link has been working on developing floats, costumes and props in collaboration with Enable Ireland, Cope Foundation, The Brook Centre Douglas, Farranree Tulsa Springboard, Traveller Visibility Group, COPE Foundation, Blackpool Youth Club, National Learning Network, UCC Drama and Theatre Studies and Artink Drama Group. 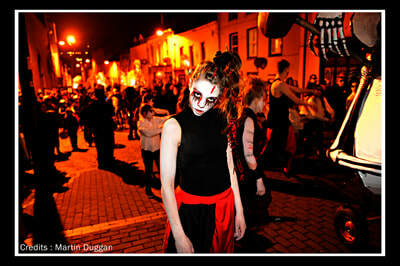 Other groups have devised their own act and will present it through the parade. 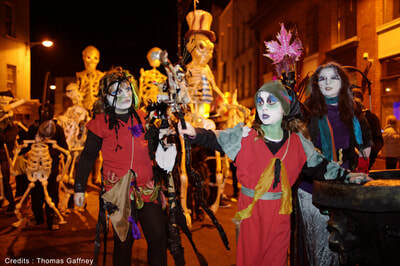 Among them, Joan Moriarty Dance School, Mexicans in Cork Group Cork Life Centre, Blackpool Glen Community Youth Center, High Hopes Choir Cork, The Shawlies, Shandon Shed Men's Club, Butter Exchange Band, Cork City Samba, Cobh Animation Team, Macha Shewolf Belly Dancers, Cork Comics Creators and PassPartout. 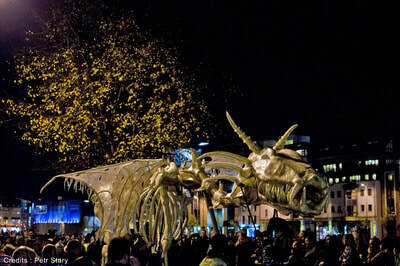 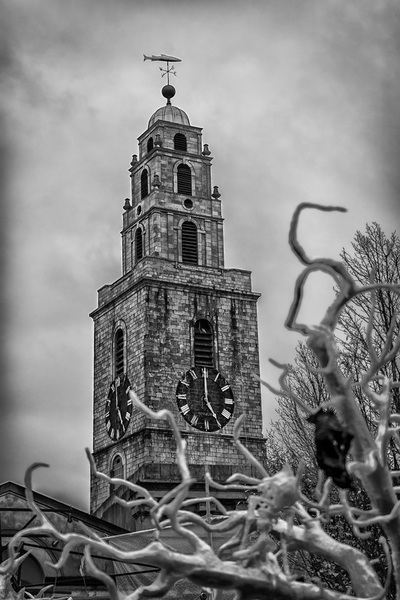 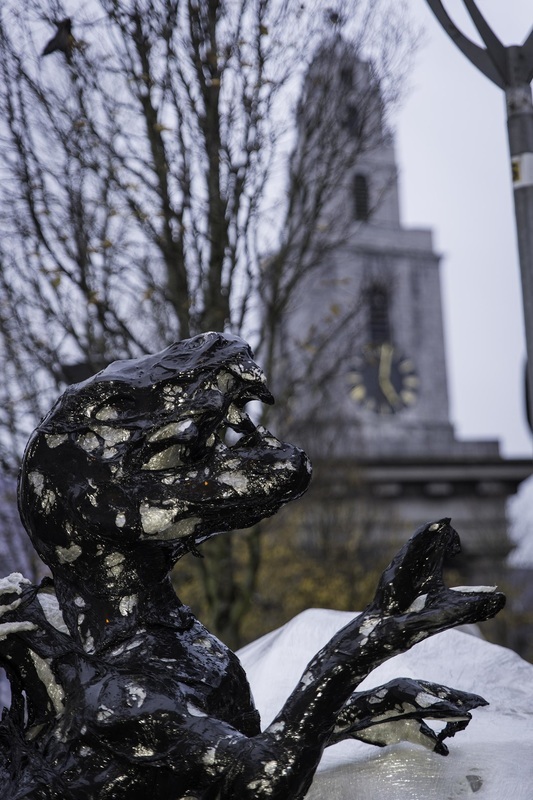 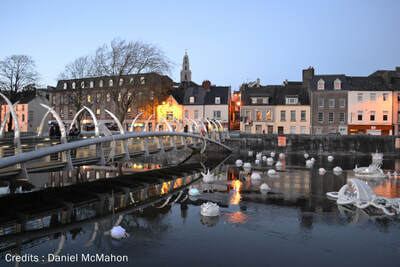 The Dragon of Shandon is the focal point of Cork Community Art Link’s annual arts programme. 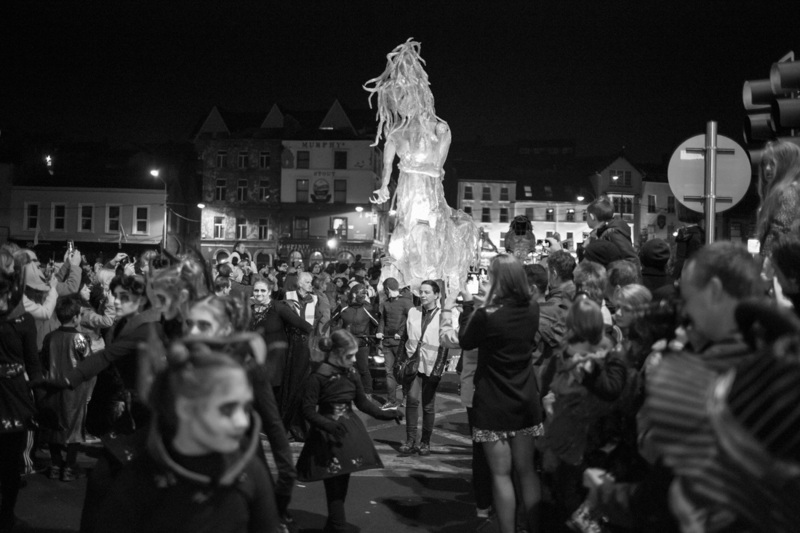 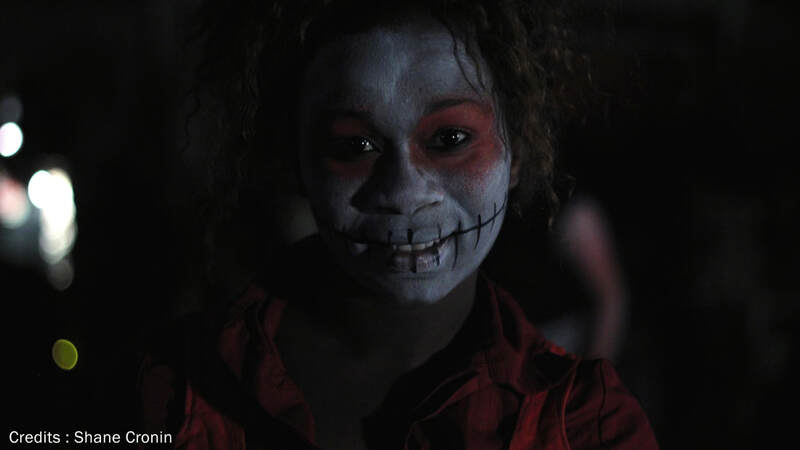 The project is the result of an extensive outreach and community engagement programme and involves consultation and facilitated arts workshops with a wide range of city-wide youth, community and arts groups over several months. 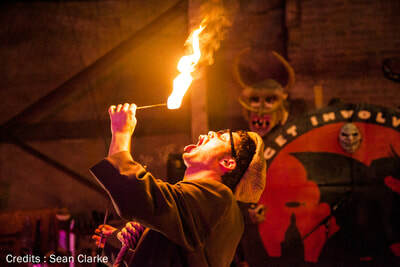 Inclusivity and diversity are the foundations of the Dragon of Shandon, along with a belief that everyone has the right to create art and engage with culture on one's terms. In collaboration with Cork City Council, CCAL moved to a new work space at the former LIDO cinema in Blackpool in March of 2016, following a 10 year quest to find a permanent home. 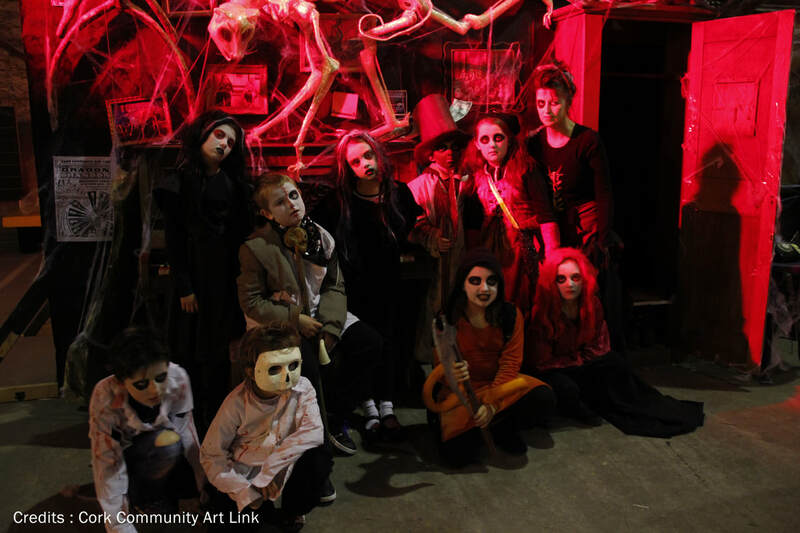 The Lido is a community art space that offers exciting opportunities for an inclusive, multi-generational and diverse approach to the arts. 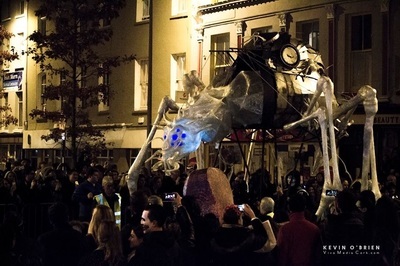 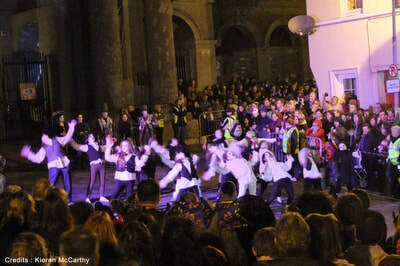 “Through our annual programme we will continue to lower barriers to participation in the arts and to fully integrate the arts into the lives of the communities surrounding us.We want this building to become a focal point for community arts practice and innovation in Cork,” said CCAL’s Artistic Director William Frodé de la Forêt. 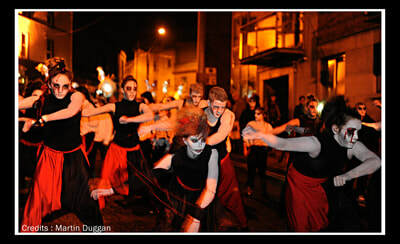 For more information go to www.dragonofshandon.com. 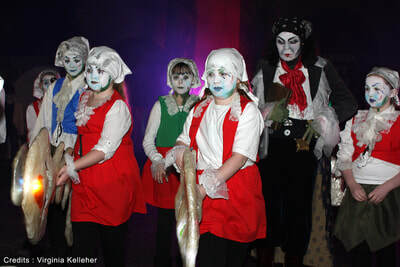 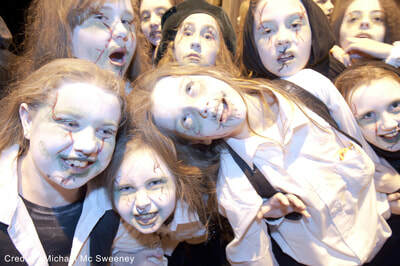 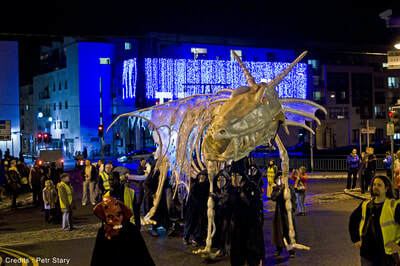 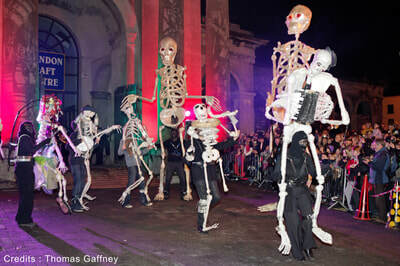 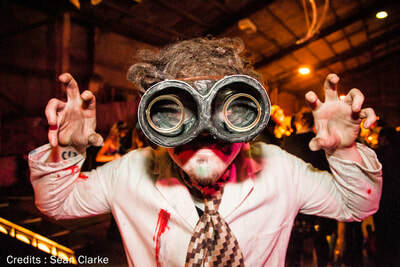 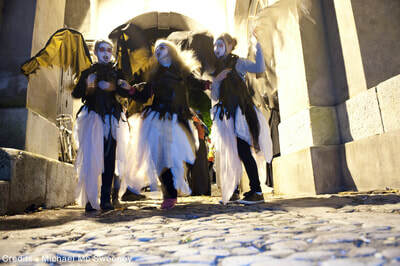 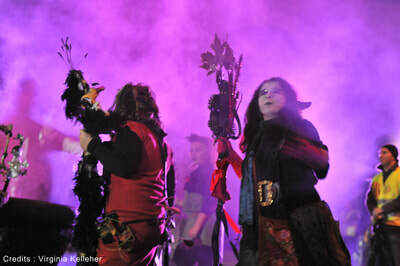 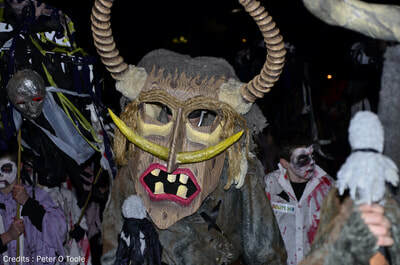 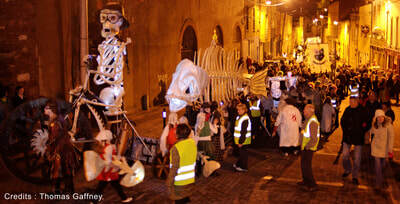 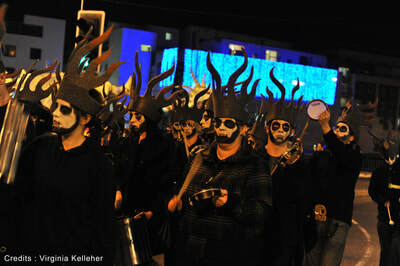 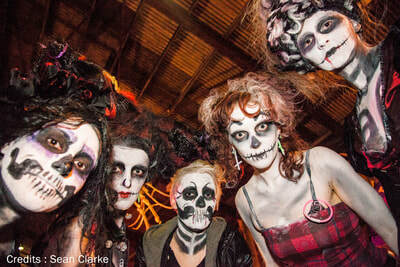 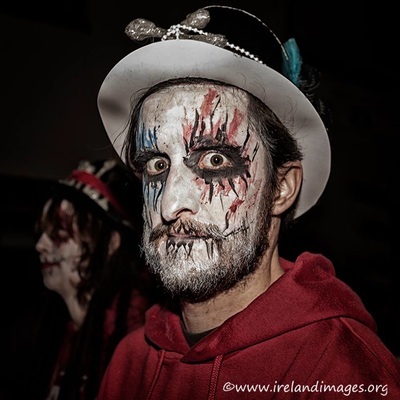 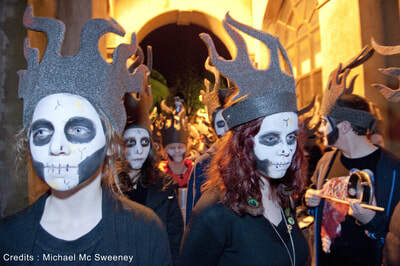 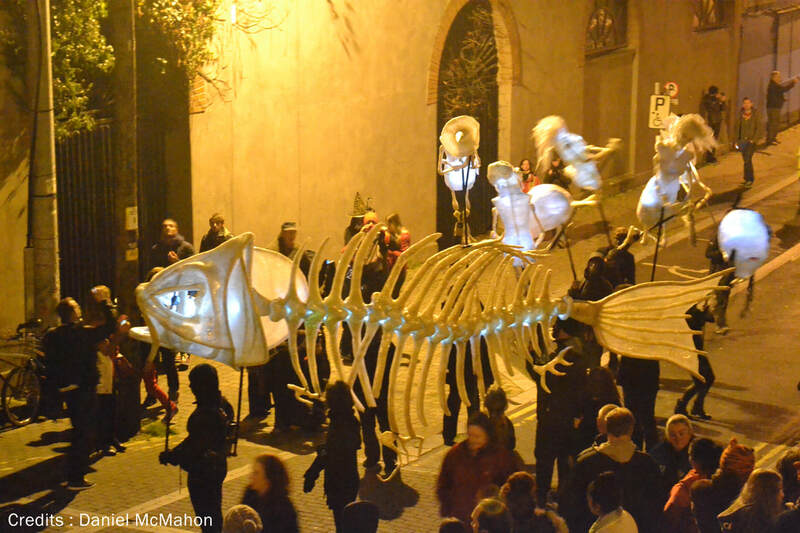 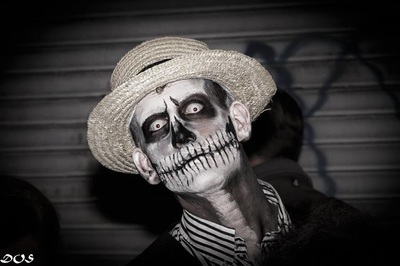 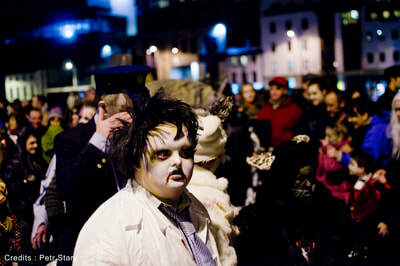 ​If you would like to get involved in this year’s parade contact 021 4553747 or email info@corkcommunityartlink.com.